Eat 3 meals a day, never be tempted to skip a meal even when trying to lose weight. Skipping a meal does not help with weight loss. Ensure that you eat carbohydrate with each meal. It can be tempting to miss these off the menu but they are essential as they help provide your body with energy – they should provide at least 50%. They also provide our body’s with essential vitamins and minerals. Carbohydrates include – millet, buckwheat, quinoa, rice, oats – confirmed gluten free, potatoes, sweetcorn, pulses such as chickpeas, lentils, kidney beans etc. and the gluten free products made from them. Eat a variety of foods. This can be harder on a gluten free diet but as shown on the carb list above there are lots of different choices available. Eating variety provides your body with essential nutrients, prevents boredom and ensures that your body does not become sensitive to foods that are repetitively consumed. If you don’t necessarily react straight away to eating gluten free foods don’t be tempted to have small amounts – damage will still be occurring. When buying ready prepared gluten free foods opt for those with the least amount of added ingredients and watch out for artificial flavours, colourings and additives too. Don’t be tempted to over compensate on sugary and high fat foods as these can add extra unwanted calories to your diet. High fat foods can also contain saturated fats which can increase cholesterol levels within your body. Always carry gluten free snacks on you. Unsalted nuts, seeds and dried fruits are perfect. This will ensure that you will not leave long gaps between meals or be tempted to eat sugary snacks. Don’t be tempted to cut out food groups from your diet such as dairy, soya etc. without consulting a nutritionist or dietitian as you may limit your nutrition status too far – a gluten free diet can sometimes be a harder to follow and you do not want to put extra stress upon yourself. Try a different food or recipe once a week so as to increase your repertoire. Know your ingredients list. Every now and again manufacturers change their product ingredient so keep abreast of changes. Also be aware that product ingredients do change from country to country so when travelling always read the ingredients list. Sarah Queen, the consultant director of Nutrition Matters Arabia in Abu Dhabi, has more than 19 years’ experience working as both a corporate and personal nutritionist. Click the logo to visit Nutrition Matters Arabia on Facebook (opens in new window). 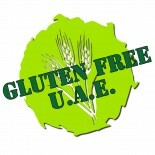 This entry was posted on 21/05/2012 by glutenfreeuae in Top 10 Tips! and tagged diet, glutenfree, health, nutrition, tips.